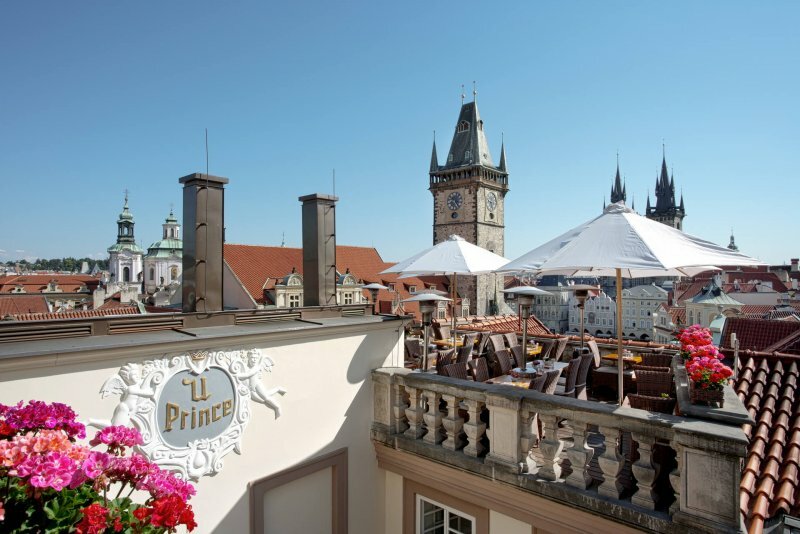 Terasa U Prince je rodinná restaurace na střeše hotelu U Prince s nádherným výhledem na celou Prahu. Místo vás dostane svým kouzlem za dne i v noci. 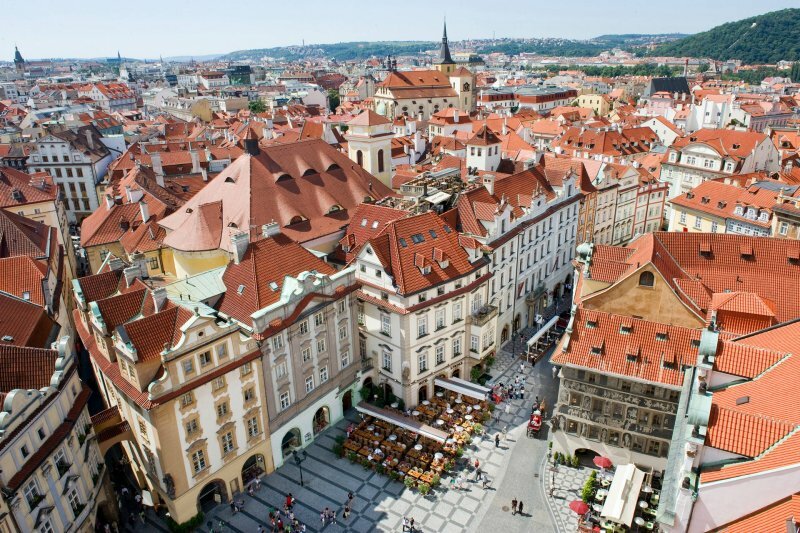 V restauraci vaří mezinárodní kuchyni a vždy doporučujeme udělat si předem rezervaci. 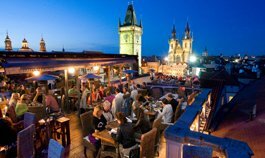 Restaurace Terasa U Prince je jednoduše prvotřídní restaurace s romantickou atmosférou v centru Prahy. I was looking for a place to have dinner and I stopped by this place to watch the menu when the hostess yelled at me to go away or watch the menu inside. Of course I chose other place to have dinner. Very poor service from my one visit experience. I’d expect better coffee and deserts - profiterolls too dry with barely any melted chocolate on the top. A view from the terrace is amazing though! 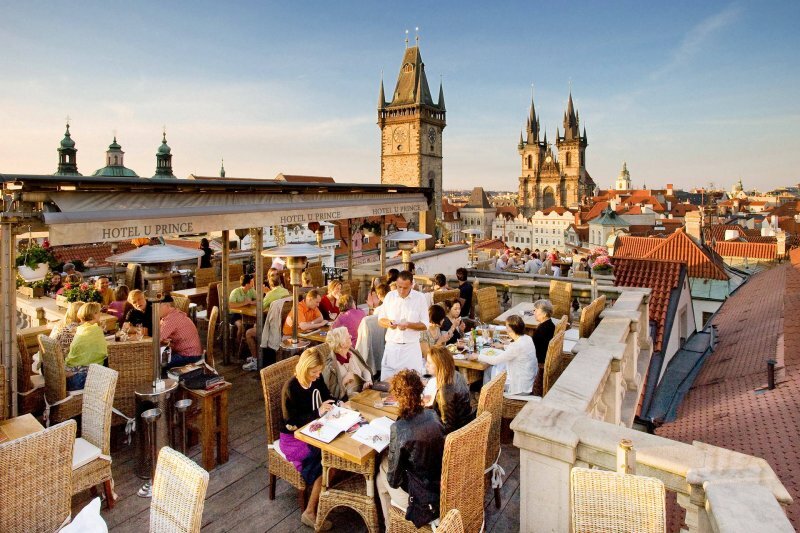 Worth going for one drink to see the rooftop views of Old Town Square on a nice day. The waitress are too rude and the price is more than its worth. You can see the same view from other places. This hotel does not deserve any good comments. Amazing drinks, beautiful view and good food options. The view is everything. The astronomical clock has ugly scaffolding thought 2017 unfortunately. Lovely for a lazy summer afternoon. Prices are reasonable given the location&view. Obstructed view, cold and lackluster food. Was charged for items I didn't order. What I did order was delivered wrong TWICE! The worst service ever! I just don't know: if I'm a young girl, does it mean that I must be treated worse than some other visitors? Total disappointment. But ice cream and lemonade are still good. For this not tasty dinner 55€ and also plus you have to pay for forks and cheap toilet paper in the table. Plus they have no good quality alcohol. Never again! Better McDonald's! Huge and tender creme brule. Magnificent views. Great views but too expensive!! 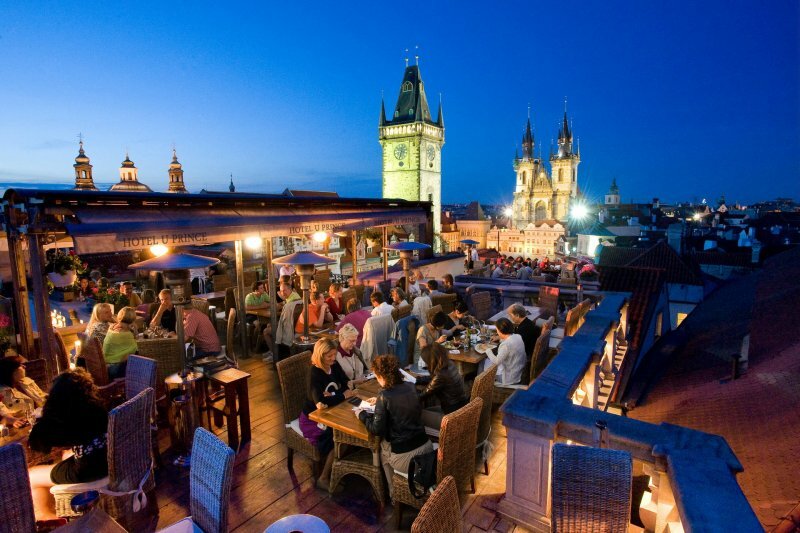 A nice rooftop bar in the touristic city center. Not really the best bar in town but friendly staff, many options for food and drinks and a nice view of the old town square. An absolute must when in Prague! Beautiful views, lovely menu and a stunning atmosphere. I could stay for hours drinking wine and chatting with friends. Service? What is that? Service - it is not about this place... It simply absent here! Unfriendly atmosphere! View is great. Service is either great or terrible. You know you are in a tourist trap when the menu is all pictures and in 6 languages. The best scenic view in town. Come for the drinks. Skip the food, overpriced for what it is. Herlig takterrasse midt i gamle byen. 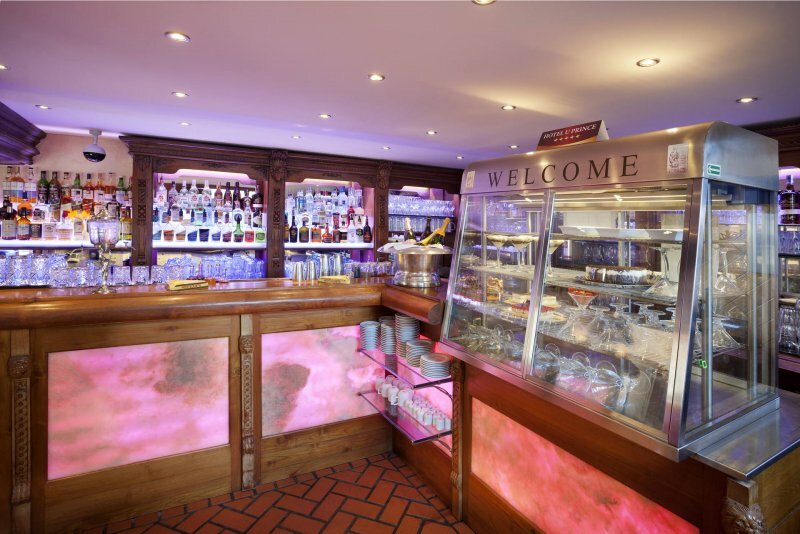 Nice breakfast, a huge selection of food, fast service!